Emanuel* is an explorer at heart who is full of imagination! He is a bright child with an even brighter smile who is fascinated by the world around him. Whether it’s exploring the natural world around him, trying to fix and invent things, or trying to be the first one with an answer to a question, Emanuel’s curious mind is always hard at work! What is your favorite class in school? Math because I want to be an engineer and in that profession, a lot of math is needed. Who is your favorite teacher? Miss Karena (2013-14 BECA Volunteer and Emanuel's 1st grade teacher) because she gave me a lot of love. What do you like to do in your free time? Watch soccer, play marbles, color, and learn to play soccer. What do you want to be when you grow up? An electrical engineer because to be able to help people, you have to invent things. What are you most thankful for? 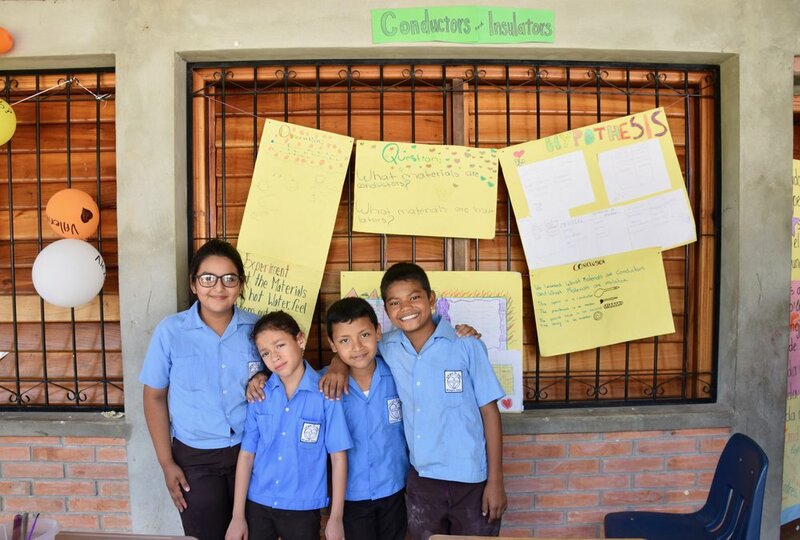 I'm thankful for Amigos de Jesús for the love, care, life, food, and education it gives me. What is your favorite part of Amigos de Jesús? Madrina Mirna (one of the caregivers in Emanuel's dorm) because she always corrects me, she lets us watch videos, and she cooks us delicious food. Who is your biggest role model? Madrina Ruth (one of the 'hogar' Padrino Coordinators) because she gives me a lot of love and she corrects me. Emanuel (on the left) with his younger brother, Wilbur*, and Padrino Rigo, one of the caregivers in their dorm, before Living Stations of the Cross during Holy Week 2017. In addition to his intelligence and inventive mind, one of Emanuel's most endearing qualities is the close, protective, and loyal relationship he shares with his brother. Emanuel and classmates presenting their project on conductors and insulators at the science fair last spring. 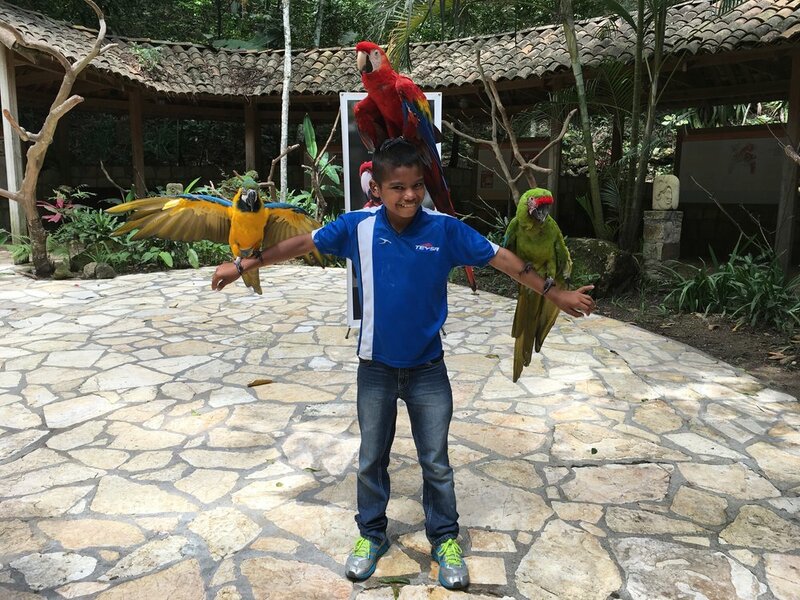 Emanuel visiting the Macaw Mountain Bird Park and Nature Reserve in Copan Ruinas during October vacations last year.